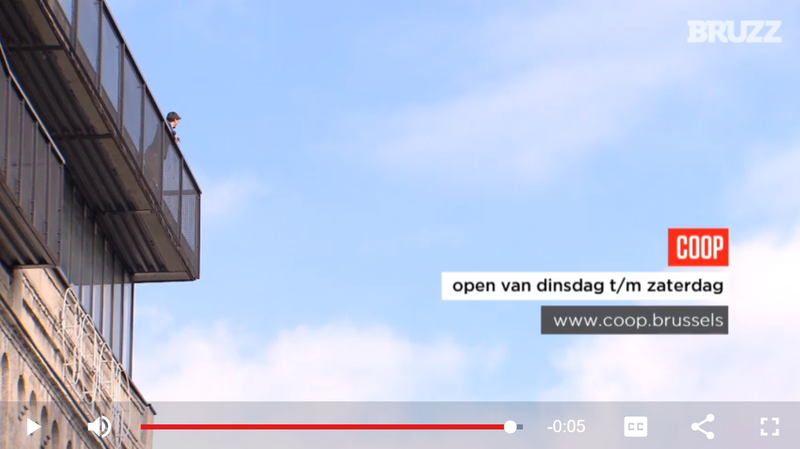 Our building COOP, located along the canal in Anderlecht, is featured in a short reportage on BRUZZ. The video, made by Marie-Ange Gillis, gives insight into the multitude of activities taking place in the reconverted mill. Since recently, the rooftop bar is open for drinks and a small lunch during weekdays and educational workshops on Saturday. For more information on these workshops, head over to the website of COOP, or keep a close eye on their Facebook page. For more information on the project, watch the video here or head over to the project page!